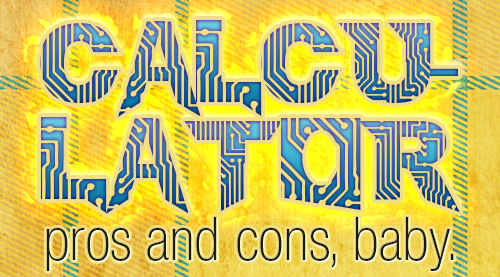 For Ratings: Are You a Calculator or a Feeler? Are you a Calculator or a Feeler? The calculators. These are the people who carefully consider each rating before giving it. They really break the book down and look at the pros and cons. Calculators are more likely to have “report card” type ratings, or do their ratings by sections. They might break the book down according to plot, characters, writing, pacing, and cover; give each section an individual rating; and then average out all the ratings to give one overall rating. 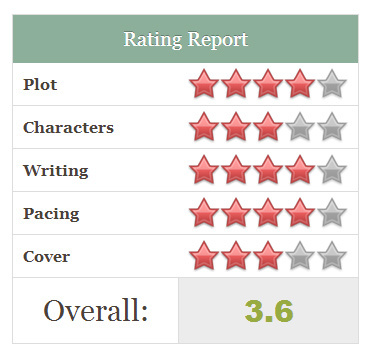 This is, arguably, the more accurate way to rate a book. We can easily see where the book is strong, or weak, and give it an overall judgement after taking everything into account. Feelers do not sit down and objectively consider every aspect of the book. They do not weigh pros and cons. They just know in their heart, what rating the book is. They base it purely on gut instinct and raw emotions. Sometimes I read a book that I LOVED, but it wasn’t quite perfect. Maybe there was a small thing that bugged me. But despite that, I still give the book a five star rating. Why? Because I feel like it deserves five stars. Because I feel like despite the problems the book had (if any), I still loved it with every fiber of my being. I finish the book and immediately know that it’s getting five stars! I do address the problems in my review, but the rating will still be five stars. But a Calculator would approach the situation more logically and objectively. They would see those tiny imperfections and take them into consideration. Five star books are reserved for pure perfection. If there is any problem or annoying part of the book, it must be taken into account and it will affect the overall rating. So maybe that five star rating becomes 4.5 stars, or even four. So which one are you? A Calculator or a Feeler? Definitely a Feeler. 🙂 Always was and always will be. I guess for me I’m a mixture, if a book is good but has one or two things I didn’t really like I won’t give them 5 stars but probably 4 and a half. It’s usually when I’m not sure what rating to give a book I start calculating. But if I have no qualms about the rating for a book, I go by the gut. I’m definitely a feeler, I base my rating on my enjoyment level rather than analyse each part of the book, I’m too indecisive to accurately pinpoint the pros and cons so its a gut feeling for me. I am definitely a feeler. I often finish my review and read it over & see that it is all pretty positive but I end up giving it a 4 because it just didn’t FEEL like a 5 star review. So yeah, I’m definitely a feeler like you. I know exactly what you mean!! Sometimes I can’t even pinpoint why a book is 4 stars, I just know somewhere that it didn’t blow me away enough to be 5. I’m definitely a feeler! If I loved a book but it wasn’t perfect? That’s still a five star rating! It’s all about how I felt about the book, for sure. Sometimes I even change my ratings, especially between 2-3.5 star ratings… It’s really hard to nail those down for some reason so I have to go with my gut on how I felt about the book overall! I totally agree, the lower/middle ratings can be the toughest to nail down. I’m a feeler. I used to do the point 5 rating before Goodreads but now no website from Amazon to Goodreads have the point system so I had to give books solid stars from 1 to 5. I like it better now though and rarely wish I could give one 3.5 instead of 3 and so on. I’m a feeler, all the way. I can’t articulate why I give a certain book a certain amount of stars, but it’s not usually a struggle to place a number on it. It’s so subjective and arbitrary anyways. Lmao!! Me too Kazhy!! Maybe our ratings aren’t “accurate”, but hopefully the reviews make up for it. I think as long as we hit all the high points and low points in our review, that’s what counts. We can have our pretty five star ratings, but we give the readers enough information to judge for themselves how much they would like the book. Most definitely a feeler, though if I’m wishy-washy about what to rate something I’ll break out the calculator to choose between 3 and 3.5 stars. Emotions are an important part of reading. If a book can make me an emotional wreck or grin like an idiot an hour afterwards, it might not be perfect, but it still deserves all of the stars. That’s a fabulous way to put it! Books, for me, are all about emotion and getting you invested. If a book accomplishes that, it deserves the five stars! I break the book into sections in my reviews, but I don’t rate each one and then calculate or anything. Instead, it goes by how much I enjoyed the book. A book I finished and thought “this is 5 stars” will get 5 stars even after I broke it down and found something that bugged me. I also don’t think calculators are necessarily the better or more accurate type, because at the end of the day, a book is measured by how much you enjoyed it, and it’s also a subjective experience. And feelings are not mathematical. I am totally right there with you. I am a feeler. My ratings are not based on how technically good the book is. It is my overall enjoyment. Perfect example: Beautiful Disaster. I found many things wrong with this book, and I go over them in my review, but I still gave this book 5 stars and continue to state that this book was my fav of the year. This book just hit me in all the right places. I don’t care if it isn’t perfect. I LOVED it, and that deserve 5 stars. Yes! Beautiful Disaster is a GREAT example! There are so many things messed up with that book, but god, I love it. And speaking of which, I’m totally ready for Walking Disaster! Like.. immediately. 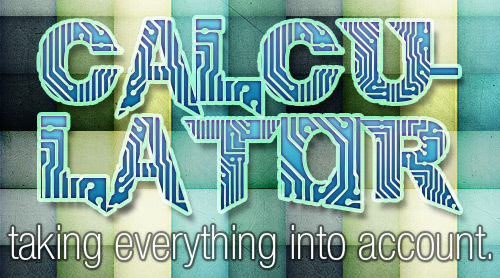 I am a feeler but try to be a calculator, which can be confusing! I start calculating but end with gut. Super fun post! I think I’m a calculator. I like to compare the book to other books I’ve read in terms of plot, characters, grammar, etc. So even if it was a super quick read and entertaining, if it wasn’t up to par with other five star books, I rate it lower. My rating on the Daughter of Smoke and Bones was definitely calculated. It was an awesome book, but it didn’t wow me. But without anything wrong with the book except how I felt, I had to give it 5 stars. Feeler, tho I do tend to weigh all the important or striking bits in my mind for the review. Sometimes I love a book, but really question the cover (like so many of the old SFF covers). Sometimes I love the world building, the side characters, the plot, but the main character didn’t hold my attention. I have even been know to outright state that a book wasn’t for me, but was written well and others should give it a shot. I am definitely a feeler though I have a bit of a love/hate relationship with ratings. I depend on them for convenience when I am reading reviews but personally I find it difficult to rate books. I usually don’t give five stars unless the books was very memorable or one of my all time favourite reads so many books that I adored ended up getting 4-4.5 stars. I feel a bit guilty for being so harsh but then I’d feel worse if I didn’t go with my gut instinct. I never tried rating things separately, now I’m a bit curious to see what ratings I would give books that I read, switch it up a bit! You are not alone! Sometimes I find it really hard to rate books too! I usually struggle more with ratings in the 2-4 range. It can be really hard sometimes! I am 100% feeler reviewer. Typos and punctuation errors don’t really bother me (as long as it’s a few and not excessive) and I could care less if the book is ‘original’ or not because really, is anything original anymore? For me, it’s all about how the book makes me feel. Take the Avoiding series for instance. I HATE Jack! I thought Lexi was one of the dumbest chicks I’ve read about but this book made me feel so much and I ended up really liking it. Captive In the Dark is NOT a happily ever after story. I felt so many emotions though and I ended up loving it. A book can be amazing but if I’m not FEELING it, then I’m not really going to like it. If I don’t like it I stop reading and move on to something I will like. Sometimes reviewers get too technical about things and it bother me. I don’t want a recap of the book, I want to know how it made them feel! 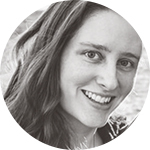 Nereyda @Mostly YA Book Obsessed recently posted: Release Day Launch: If You Stay by Courtney Cole – Review & Giveaway! YES YES YES!!! OMG I love your comment so freaking much Nereyda!! You hit the nail on the head in so many ways that I couldn’t explain. There are a lot of books out there that are well written or sound like they could be really cool, but they make me feel NOTHING. And for that reason alone, I can’t enjoy them. If a book doesn’t shake me to my core and rock all the fibres of my being, then I can’t bring myself to love it (or sometimes—even like it). But if a book makes me hope and love and cry and FEEL. ALL. THE. FEELINGS. then that makes it a huge success!!! TOTES a feeler!! It’s funny because I realize a lot of times I’m such a feeler than I’ll read other reviews later and be like URM I didn’t see these problems you pointed out..and then I think about it and realize i was pretty blinded haha. I have such a hard time balancing the HOW IT MADE ME FEEL with the PROBLEMS AND TECHNICAL THINGS. Also with entertainment value/how fast I turned the pages vs. how good the book actually was. Sometimes I do take a little time to not write the review so I’m not just gushing all over the place. So I can step back and think about it all. I’ll address how I was feeling but also give the few things there that weren’t perfect. Well said, Jamie!! That has totally happened to me too! I get blinded by how much I’m LOVING the book or the romance or the characters or whatever, that some issues/problems/holes just fly right past me! I used to be a feeler until I started not being sure what I wanted to rate things or why I was giving something a low rating. I like calculating because it tells my readers exactly what worked and din’t work for me so they can better decide if they want to read it. It also prevents me from just summarizing the book. Great post. I never really thought about this before. I totally get what you mean. I’m a bit of both, I think. I do split the rating and give each category it’s stars, but the book as a whole can still get a totally different rating depending on how I felt about it overall. I am SUCH a feeler. I do touch on things that I do or don’t like, but it’s definitely a gut feeling. Great post! I’m definitely a calculator, though occasionally I rate a book based on how I feel. I’m a very critical (read: picky) reader, and even if I loved a book, I’ll probably rate it 4 stars if I saw even a tiny problem. For me, 5 stars are for perfect books, and those are hard to find. I am definitely a feeler! Which is one of the reasons we decided not to do ratings on our websites. Sometimes, I just LOVE reading a bad book. Like, I know it’s bad and full of infodump and cliches and just…not that great writing. BUT I LOVED IT SO MUCH! How would I rate that? I don’t know. I would want to give it five stars, but then I’d feel like I was lying to people. It’s really difficult. Oh wow, that’s a tough one, and I totally know what you mean!! Some clichés are clichés because… they’re good. And people like to read about them. And I’m totally guilty of that sometimes, and now and then I absolutely LOVE those books!! Ahhh. I LOVE ALL OF THE FEELS! I am SO a “feeler.” I used to do a star rating, but changed it to a system that works a little better for me because it relies on how the book made me feel – ie I laughed, cried, etc. The more I feel, the higher rating the book gets. I still write honest reviews and if there were flaws, I note those but yeah, DEFINITELY a “feels” girl. That is such a great idea Molli!! I’m all about how a book makes me feel, so that’s a great rating system! This is cool. I am definitely a feeler. Hmm. I think I am a bit of both. Not a fan of ratings, actually. I always struggle on where to go with that because I analyze every aspect of the book and kind of deconstruct it in my mind. But I do give ratings in the end of the day and they are based on how I feel. If the book is amazing and blows me away -> that is an automatic 5/5, lol. Great Post! P.s. I love the buttons! Yep, I’m a feeler, too! I am a feeler. I have tried to be a calculator, but eh, it’s just too much work. Besides, if I am totally into a book, I tend to overlook things like a misspelled word or the wrong punctuation. Besides, in some books, the spelling and punctuation can look totally wrong, but the author does it on purpose to emphasize an accent or verbal emotion. Who am I to judge if they interpreted it right or wrong? Great post! Possibly both! I am more of a calculator but when I truly get into a book, the rating really depends on ow I feel. Loved this post! Calculator or feeler? I construct an Excel spreadsheet ranking books relative to each other then use a logarithmic formula to determine the normalized absolute ranking of each book. I guess that’s why I don’t do these things. Before all this reviewing craziness, I was a feeler. But when I started writing reviews, I found myself slowly transforming into a calculator. These days, I find it so hard to dish out my 5 stars because I will nitpick every little detail. *sighs* Sometimes, it’s driving me mad. I’m definitely a feeler. I have an explanation in my mind as to what each star rating means, and then I pick one based on where I think the book fits. I definitely don’t rate each aspect and do an average or anything. When I’m done reading a book I reflect on it for a moment and then say yep that’s a __ star book. I’m a feeler, but I *do* put some calculations in. Even if I love a book emotionally, I won’t give it a full five stars if there are a couple of things that bother me on an cerebral level. I’m definitely a feeler. I go off my emotions after finishing the book. Damn… I’m sort of both I guess, but mostly a FEELER. I do sometimes get all calculaty tho. Carrie recently posted: What constitutes “Summer Reading” for you? I’m a pretty even mix of both! I break down the book by plot, characters, ending, and setting and do a rating report at the end, but for the OVERALL rating, I am definitely a feeler. Right after I finish the book I’ll think about whether I liked it, REALLY liked it, or loved it and give it a rating then. But I get more in-depth when I sit down to write the review. I am a feeler. Sometimes a book may not be perfect but I would love it because I truly enjoyed it. Case in point: Remembrance by Jude Deveraux.